We write on behalf of the Middle East Studies Association of North America (MESA) and its Committee on Academic Freedom to express our deep concern about the complaint filed in federal court by the Lawfare Project against leaders and faculty members of San Francisco State University (SFSU) and against the board of trustees of the California State University. We regard this lawsuit as a grave threat to academic freedom and to the constitutionally protected right to free speech. We believe that its real purpose is to intimidate SFSU’s administration, faculty and students and thereby exert a chilling effect on the free and open discussion of the Israeli-Palestinian conflict on campus and beyond. The complaint filed by the Lawfare Project, which describes itself as “the legal arm of the pro-Israel movement,” alleges that SFSU “is largely recognized as being among the most anti-Semitic campuses in the country” and that it has fostered a hostile and discriminatory environment for Jewish students. Much of the supposed evidence cited in the complaint for these allegations consists of tendentious accounts of various incidents on campus in recent years in which students and student groups advocated for Palestinian rights, sometimes in a raucous manner. SFSU has in fact already investigated some of these incidents and found the allegations contained in the complaint baseless; any remaining allegations can and should be investigated by SFSU itself in accordance with the university’s established procedures. The real purpose of the lawsuit thus appears to be to stifle advocacy for Palestinian rights at SFSU by students and faculty, in clear violation of free speech rights and academic freedom. We note with concern that the allegations in the complaint are grounded in the construal of any and all criticism of the policies and practices of the State of Israel, and of Zionism as an ideology and movement, as well as any form of advocacy for Palestinian rights, as inherently antisemitic. We unequivocally condemn antisemitism and believe that university administrations must combat it as vigorously as they would all other forms of racism. But we reject the complaint’s deliberate conflation of criticism of Israel or of Zionism with antisemitism, a conflation which we believe stems from a politically motivated effort to silence the expression of opinions on the Israeli-Palestinian conflict with which the plaintiffs disagree. We note further that the complaint repeatedly targets MESA member Rabab Abdulhadi, Associate Professor of Ethnic Studies/Race and Resistance Studies at SFSU and Senior Scholar at SFSU’s Arab and Muslim Ethnicities and Diasporas Initiative (AMED). It rehearses the same unfounded allegations which we addressed in our letter to President Wong dated September 19, 2016, but also includes a range of additional allegations. As we noted in that letter, Professor Abdulhadi has repeatedly been harassed by politically motivated nonacademic organizations which seek to stifle perspectives on the Israeli-Palestinian conflict with which they do not agree, often by calling them antisemitic or claiming purported connections with terrorist organizations. This complaint expands and intensifies the vicious campaign of harassment that has been waged against Professor Abdulhadi. We believe that the allegations advanced in this complaint against SFSU leaders and faculty, and against the CSU board of trustees, have no more basis in fact than, and are just as tendentious as, the ones we addressed earlier. Nonetheless, in our view the filing of this lawsuit in federal court constitutes a very dangerous escalation in the campaign by the Lawfare Project and its allies to pressure SFSU and other institutions of higher education to suppress the expression of certain points of view on the Israeli-Palestinian conflict. It also threatens the right of SFSU faculty to teach without fear of harassment and intimidation, in accordance with the principles of academic freedom. We call on the leadership of SFSU and CSU to conduct a vigorous and principled legal defense against this complaint, which seeks to prevent institutions like SFSU from pursuing their educational and scholarly missions. 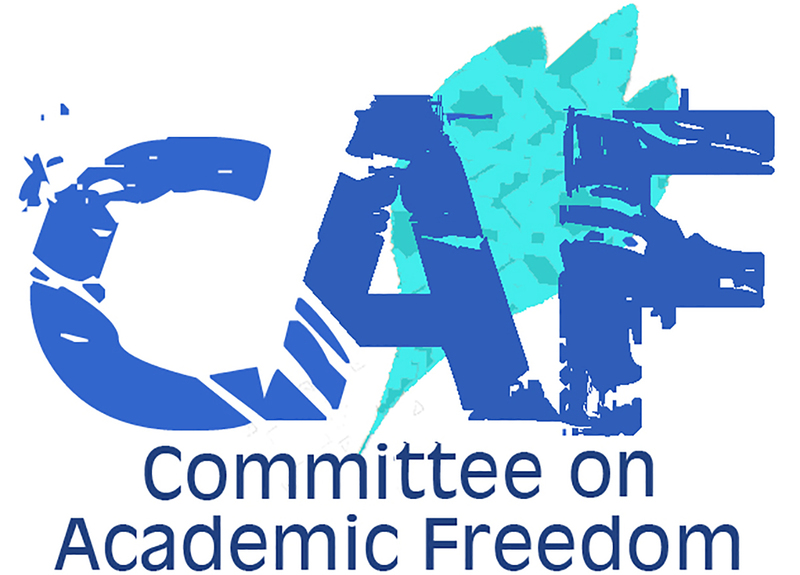 We further call on you to publicly reaffirm your commitment to defend the academic freedom of your faculty, including Professor Rabab Abdulhadi, and the free speech rights of all members of the SFSU community.